Match of the Day has been a constant feature of my married life. Do I like football? No. Does my husband? Yes. So, when Jo Smedley suggested a football-themed murder mystery, my husband’s first words were, “That’s brilliant!” I was less sure. I have always tried to avoid football. Saturday nights tucked up in bed reading novels is far more appealing than nearly being knocked off the sofa as my husband leaps up and down, cheering the goals. I talked it through with my stalwart dinner party guests. 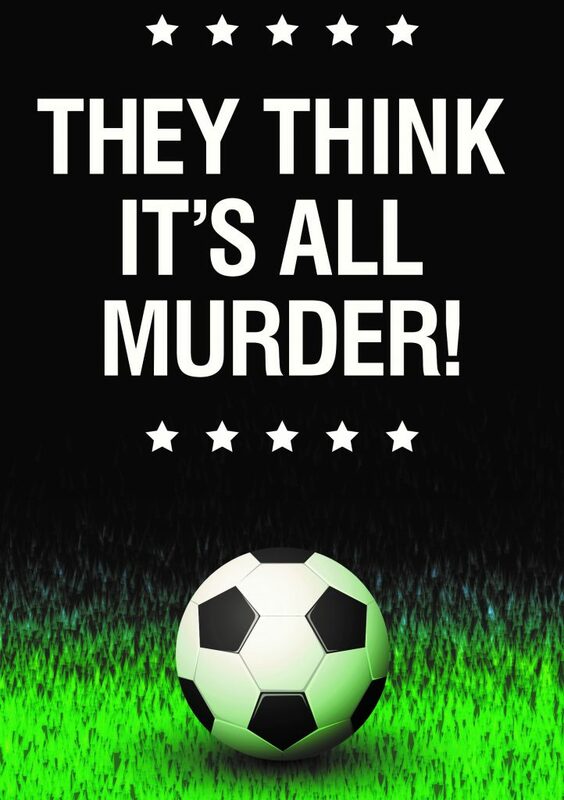 Did they think a football-themed murder mystery was a good idea? There was a resounding, “Yes”. In fact, there was more than a resounding yes, there were character suggestions, plot lines, and a flurry of texts for the next few weeks as the ideas kept coming. There was even talk of additional dinner parties to plan the ‘biggy’ – the murder mystery they were all waiting for. No pressure then [sigh]. Slightly overwhelmed, I created a list of ludicrous murders in which the team mascot often featured, crossing out idea upon idea. I wasn’t sure I could do it. What did I know about football? I didn’t understand the off-side rule and I’m still a bit hazy about how many players are on a team. I realised if I was going to do this, I’d have to get serious and watch some football. Novels and cosy duvet abandoned, I ventured into the lounge and perched on the sofa. Hubby didn’t notice. I spent several evenings transcribing the commentary, as he leapt up and down, jogging my pen strokes. Eventually, a script began to emerge. I enjoyed listening to the punditry. It was like learning a new language. There’s a certain poetry in sports commentaries. There is hunger, desire, tragedy. Then there’s the post-match analysis, where some poor sweaty player is asked for his or her opinion after a crushing defeat. Some of the phrases I wrote down, were rejected by my husband, who thought I was way off the mark. “But I really heard them!” I cried, showing him my scribblings. Where once I would have moaned about crackly radio reports of lower league football matches, I snatched every opportunity to listen and scribe the commentaries. I began researching celebrity footballers, fashionable hair styles, WAGs and gossip. It was quite addictive. Larger than life characters, passionate players, jealousy and deceit – the ideas came thick and fast. I’d never enjoyed football so much. For a few months, my husband thought he had a soul mate. 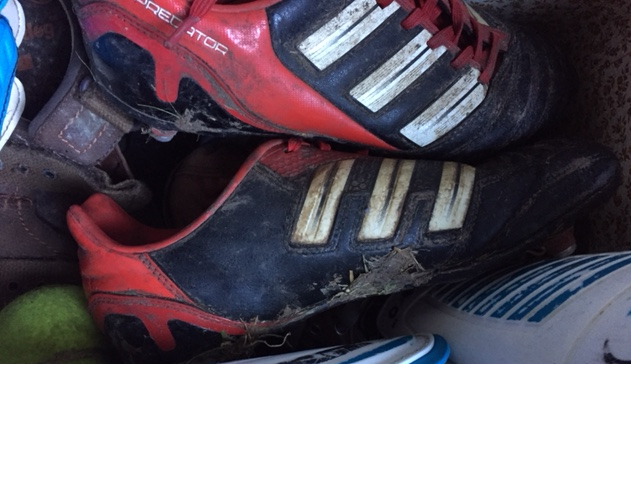 Now that it really is all over, and the murder mystery dinner party game has reached the website, I can hang up my boots, go back to my fluffy slippers and dressing gown and curl up with a good book … and no it won’t be about football.